The Steem ecosystem has expanded once again with the introduction of Steempress. Steempress WordPress plugin is a free plugin for WordPress bloggers which enables them to instantly post their website content to Steemit.com directly from their website. The Steempress plugin is easy to use. Once you have downloaded the plugin, simply upload it to your WordPress blog and activate it. You will be prompted to enter your Steemit user name and private posting key. You make find your private posting key under “permissions” in your Steemit wallet. schedule the post for a later time. WordPress is the most popular blogging platform on the internet. Millions of content creators use WordPress for their blog. The integration of the Steempress plugin into the WordPress community has the potential to attract millions of WordPress users to Steemit. The great thing about these new Steemians is the fact that they are already content producers which probably have their own following. We may see a large influx of new users to Steemit due to the huge exposure to the WordPress community. We are witnessing an explosion in the Steem ecosystem. We have seen Dtube, Dlive, and Dsound enjoy tremendous growth over the past few months. Sites like Dmania.lol and Steemhunt.com have also developed niche following in the course of a few months. 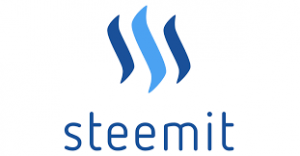 As the Steem ecosystem grows, Steem will be used more and more. All of these developments can only be beneficial to the price of Steem. I think we are entering an exciting time for Steemit. Previous Article← What is A Masternode Coin?